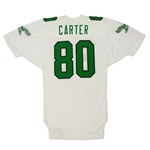 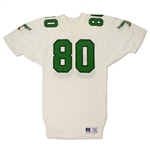 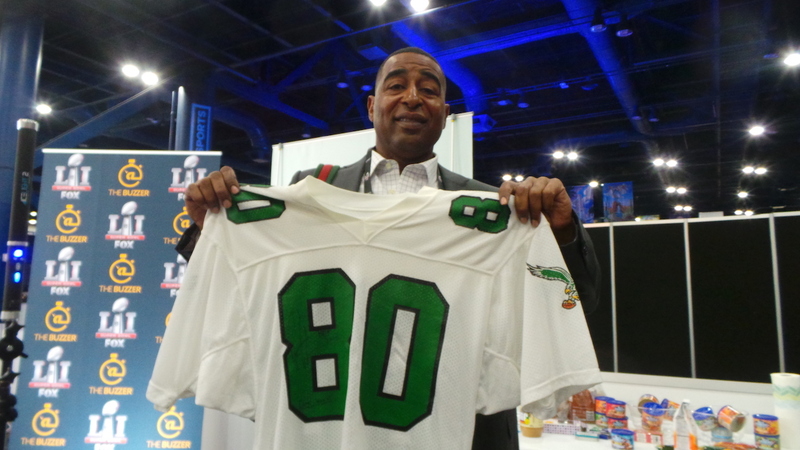 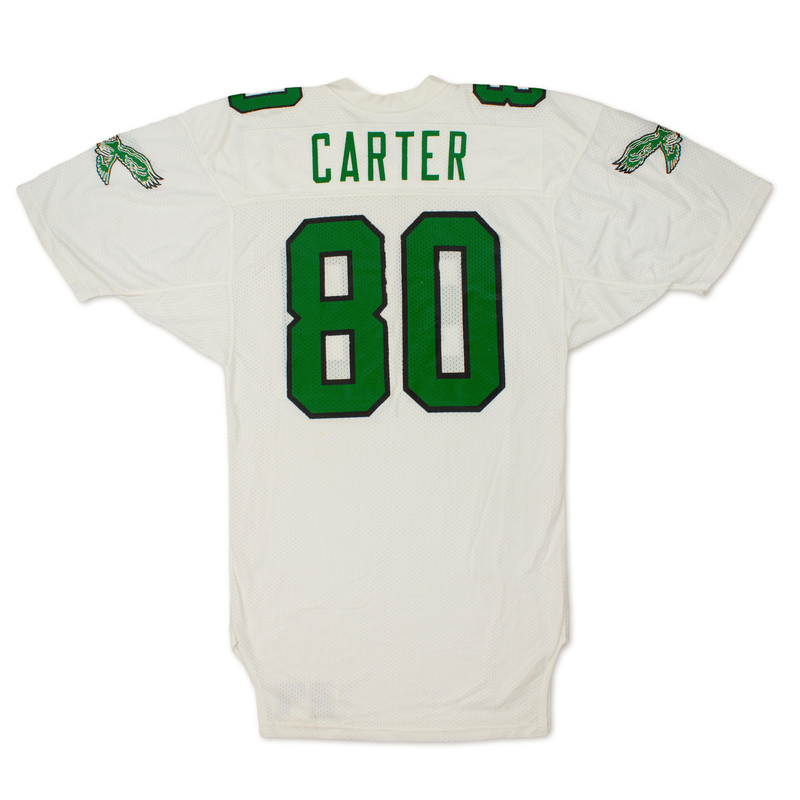 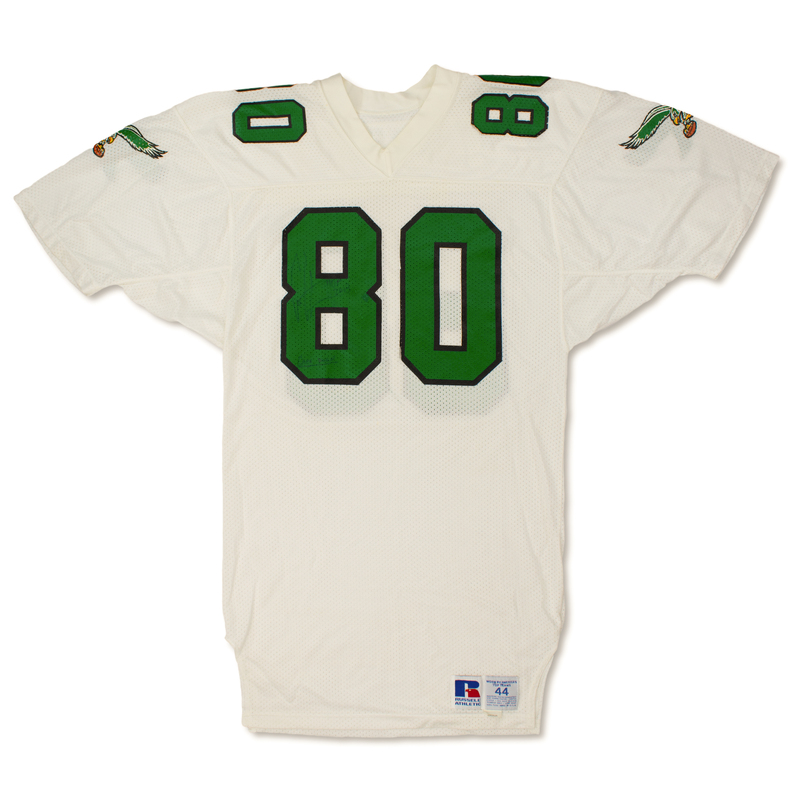 Presented is a Philadelphia Eagles game used road jersey worn by Cris Carter during the 1988 NFL season. The size 44 Russell Athletic jersey is signed and inscribed "HOF 2015, Game Used" in black marker on the front "8". 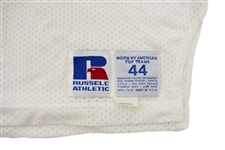 The garment shows excellent wear with scuffs and a team repair on the front "8". 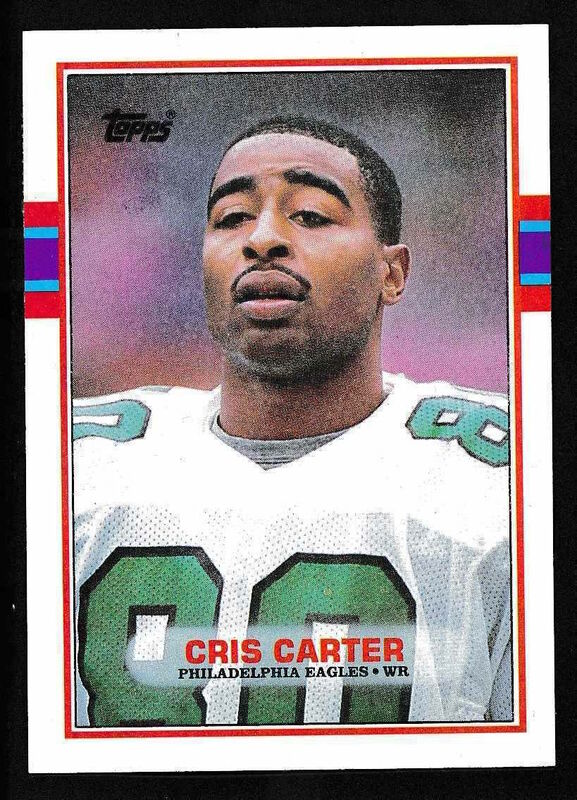 The jersey photo matches to Cris Carter's 1989 Topps #121 football card. 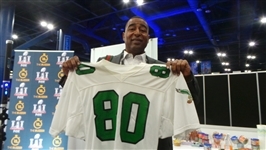 This is an excellent and rare example from one of the greatest wide receivers in the history of the game.